If you’re busy, it may feel like your only choice is to dig in and get it all done, when actually it may be the best time to pause and get present to the mess. 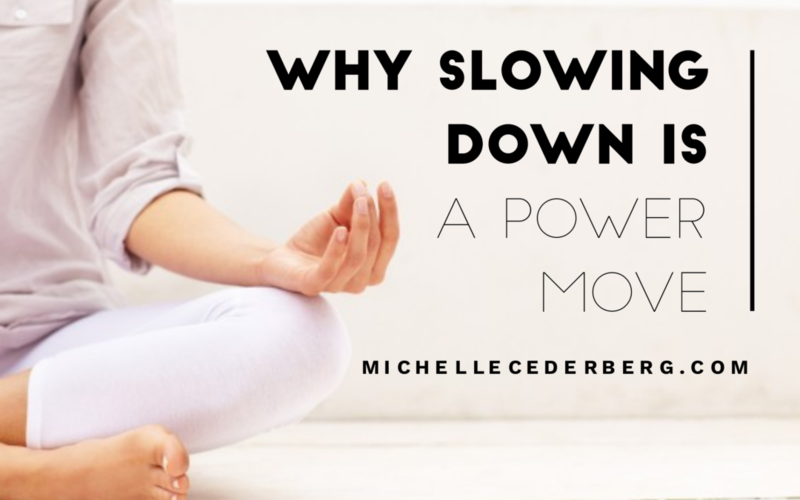 I know it’s counter intuitive to slow down when stuff is piling up, or maybe it hadn’t occurred to you that it’s an option, but why not meditate on it? Stop. Pause. BREATHE. Slow the heck down and give yourself a few moments to think. Even 2 minutes of calm can be meditative, and so good for your health and mindset. Do you meditate? It’s something I’ve been trying to do more consistently, and I admit that I find it difficult some days. Mind wandering, body twitching, wondering at every moment if I’m doing it right, wishing I was doing it better. It’s almost stressful, but it’s not uncommon. Like any new skill, meditation takes a bit of time and awkwardness until it starts to feel comfortable. And since many of us are so busy and on the go, the thought of sitting and doing nothing can feel like a foreign concept. Watch this fun video – In Praise of Doing Nothing, for more on that. The benefits of meditation are worth the effort though. Meditation reduces stress, improves concentration, increases self-awareness, happiness and acceptance, slows aging and boosts the immune system, and much more. And in the video conversation below, I was assured by my friend Kim McNeil, a Certified Yoga Therapist and Meditation Expert, that if you’re doing it, you’re doing it right. So it really is about simply giving it a try, and staying open-minded as you practice. Like anything worth doing, meditation requires a bit of skill, and therefore a bit of practice. It makes sense intuitively, but I can be impatient. I started with the App Headspace, which simplified things for me. Sit, press play on the days’ meditation, and listen as you’re talked through what to do. You get your first ten days for free, and then it’s a small monthly fee to access their whole meditation library, but it’s vast and includes guided meditations to help things like stress, focus, relationships, happiness and more. Another that I like is called Insight Timer. It’s free and includes guided and unguided sessions, and a whole bunch of background sounds to meditate to. I use both apps, and also try app-less, and just sit and breathe. I’m still learning how to just be, but it’s turning into a good way to start the day. So, why not give it a try? And if you’re a happy meditator, share with me what works for you. I’d love to know your secrets! Considering adding meditation to your routine? Watch the short video reboot below, for meditation tips, or read the transcript that follows. 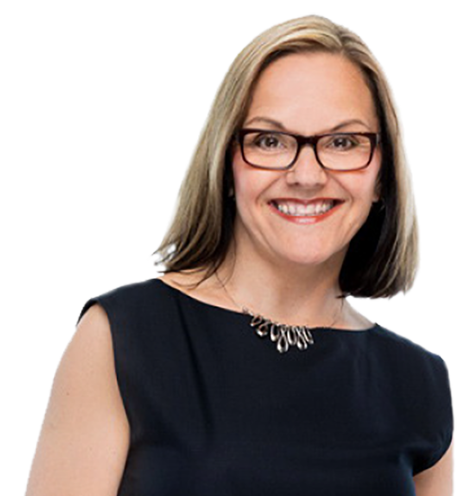 Michelle: Michelle Cederberg here with your Weekly Work-Life Recharge, along with my friend, yoga therapist and meditation expert, Kim McNeil, to help me, and hopefully you find a little bit of ease with meditation. First of all, is all this discomfort even worth it? What are the benefits? Kim: Yeah, it is. It takes you from that fight or flight response, the stress response and it brings you into the parasympathetic, which is the calm zone. Michelle: So, it has the physiological benefits for your body. Kim: It does, yeah, and it prevents you from wanting to punch people in the face [laughs]. Michelle: Which might come in handy some days. What kind of physiological benefits, though? Kim: It helps your immunity. If you’re prone to getting sick a lot, it’ll help that. Michelle: And it’s gonna help you get along better with other people and not want to, as you say, punch them in the face? [smiles] So, what are some of the biggest barriers you think that people have to meditating with? Why do so many people find it so hard? Michelle: I always think I’m doing it wrong. Kim: Well, if you’re doing it, you’re doing it right. Kim: That’s all you need to know. Michelle: If I’m trying, it’s a win. Kim: Yeah. You don’t need to have a complete blank mind of no thoughts. That’s a myth. Michelle: So, what about the time commitment? ‘Cause I always feel like, oh my gosh, I don’t have time to sit for 10, 15, 20. How long is enough? Kim: Five minutes a day. That’s it. Michelle: How long do you do it for? Kim: 20 minutes, on average. Michelle: But really, in terms of barriers, you don’t have to do a lot of time. If you’re trying, you’re doing it right. Michelle: Does it matter where, or how I do it, or what I even sit on? Michelle: It’s seriously Lilly’s dog bed. I bought it for her, and she refused to sleep on it. I think it’s very comfortable. She’s not very smart. Kim: It look cozy … But what it doesn’t do is lift you up. Michelle: I find myself slouching a bit. Is that why? Kim: Yes, and then you become uncomfortable, and then you become a grumpy meditator, and then you stop. Michelle: Have you been watching me? Kim: Maybe. You just didn’t know it. Michelle: What are you sitting on? Kim: This is a bolster. It’s a pretty standard yoga bolster, available online and at many yoga studios. Michelle: And you also have this. Kim: It’s a beanbag kind of mini prop, yeah, mini bolster, inexpensive. Michelle: So, that would be the entry-level … Above a dog bed. Michelle: And then this is the Cadillac back here? Kim: It is, the double layer, and so what this offers is that your feet are on something soft, too, so they don’t fall asleep. Michelle: So, if you actually want to make meditation something that is a regular thing, the comfort factor is a big one. Kim: A huge one, ’cause you’ll give up really easily if you’re always uncomfortable. Michelle: You said you’ve been meditating regularly for the past year, but for over three years. Kim: Yes, yeah, and you have to work up to it. Michelle: Every day. So, what are some tips that you would give to people like me or people who are easing into meditation to help make it a little easier? Kim: I’d set aside a good chunk of time, consistently. Michelle: A consistent time in the day. Kim: Exactly, yeah, and keep it that way, so that you form a habit, and then it can be as easy as using your phone. Use the timer on your phone, and just set it for five minutes. Put it down. Don’t check it a million times. Don’t text. Put it just out of reach. Michelle: So, morning, I’m guessing, is one of the best times? Kim: I think, honestly, wherever it fits into your schedule, ’cause I don’t want to tell you morning if you’re not a morning person. Michelle: Or if you’re running around trying to get the kids to school and things are chaotic, and you gotta get out to work. Kim: It has to be practical. Michelle: Right. Any moment in the day where you have a few minutes of spare time to just stop and breathe. If you’re trying, you’re doing it right. What about apps? Is that cheating? Kim: No, not at all, because it helps keep you focused, and I think Headspace, for example, is a great one ’cause they give you 10 free days of guided meditation with information to help you start off right. Michelle: You just said, “If you’re doing it, you’re doing it right.” So, if an app helps you to do it … I use Headspace, and I do like it. What are some of the other ones that people could try? Kim: There’s Calm. That’s another great one. That one has different types of music in it. If you want the beach sound or birds, then you can add that, or it can be silent, as well. Michelle: Insight Timer is another one that I’ve heard of. Kim: es. Also, I think if you pick a good piece of music from, say, Spotify, they have good Tibetan Bowl playlists. I would say avoid anything with lyrics. Michelle: Right. Meditating, and an ear worm comes in and takes over. [sings a corny song]. Kim: [laughs] I like Foo Fighters but it might be a little intense sometimes, yeah. Michelle: What you’re basically saying is, don’t overthink the whole meditation thing. Kim: Yeah, don’t overthink it. Kim: Yeah, right, and then people stop. So, be aware that you’re doing that, and just put it aside, and come back and start again. Michelle: If you could give me and our viewers one tip to take away to really embrace meditation, what would it be? Michelle: So, stay open-minded. What’s the biggest benefit you’ve gained after meditating every day for a year? Kim: I like the discipline. I really do. Yeah, it just adds a little something to my day… And, I punch people less, overall. Michelle: [laughs] She seems like such a nice person. All right then.. Until next time, I’m Michelle Cederberg helping you transform your work and your life one meditation and one recharge at a time. Should we give this another go? Michelle: Okay. Talk me through it, Kim. Kim: Okay, so sit. Ground your sit bones. Sit tall. Close your eyes, and take a deep breath in through the nose and out through the nose, and do that again, and out. There you go. You’re a meditation expert.